Join us for 4 days of wine & food touring from the Capital of Renaissance Florence. In just 4 days we’ll be able to take you to the most important classic wine regions of Tuscany and you will truly get and understanding of Tuscany’s traditional wines. We’ll also get to taste the typical foods of each area, meet the locals owners of farms and artisinal shops and tour some of the most beautiful landscape of Tuscany, including several quaint villages…. Day 1: Benvenuti! Arrive in Florence on this day in time for your afternoon intro: Wine Class at the Tuscan Wine School at 4 pm that will give (in English) you a preview of the regions you’ll visit the next 4 days with a generous tasting of a wine from each region. The tasting will be conducted by an expert Sommelier who will also be able to answer your questions about Florence if you arrive a little early to the class…. Tuscany’s only classic area for white wines. Departure at 9am, our first day trip goes to the Val d’Elsa and on the way to San Gimignano we stop in a chocolate factory, a medieval village for a tasting of olive oil & vinegar. We’ll visit San Gimignano before lunch for a stroll and soon after we will head to lunch in a saffron farm with your first tasting of the local wines. After lunch we’ll head for a small winery of organic wines, family owned and producers of high quality. Back to Florence by 4pm. This will be our first encounter with the famous reds in Tuscany and especially for Sangiovese, here called”Noble wines of Montepulciano”. Departure from hotel at 9am. Montepulciano is a beautiful hilltop town in Tuscany which we are going to visit on this journey. 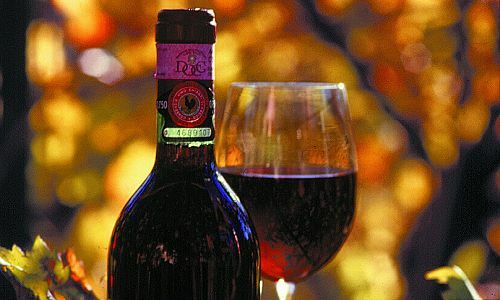 The day will be a discovery of the region and its wonderful warming reds and dessert wine. 2 wineries visited plus cheese tasting at a pecorino farm. Lunch at one of the wineries. Back to Florence by 4pm. Tuscany’s oldest geographical wine region. Leave from hotel at 9am, we’ll head up the steep hills of the region, stopping in the vineyard to show you how the grape growing works. We’ll visit a historical castle in the morning, the cradle of Chianti Classico, and do a short tasting. Lunch will be at the famous butcher in Panzano, Dario Cecchini, so you can look forward to a great meat tasting! In the afternoon we visit a small family owned winery to hear the stories of the wine making in Chianti and to taste some more lovely wines. Back to Florence by 4pm. The pearl of Tuscan wine making. Save the best for last, so on this day we’ll depart at 9am and go to Southern Tuscany to discover how the Brunello wine distinguishes itself from the other regions. We’ll have appointments in a couple of top rated wineries of the area and you’ll now really be able to compare the areas and their wine. Lunch at one of the wineries, after you’ll have some time a “digestive” stroll through the narrow streets of Montalcino. Back to Florence by 4pm. End of our services.